Whether you have always dreamed of working in the medical field or you have a passion for helping others, becoming a CNA can be incredibly rewarding. Here at Northern Colorado Training Institute, Inc., we provide industry-leading Colorado CNA classes to ensure you start your medical career with all of the skills and knowledge you need to start making a difference in your patients’ lives. As educators, our goal is to also make sure that you have the traits needed to be successful in your role. 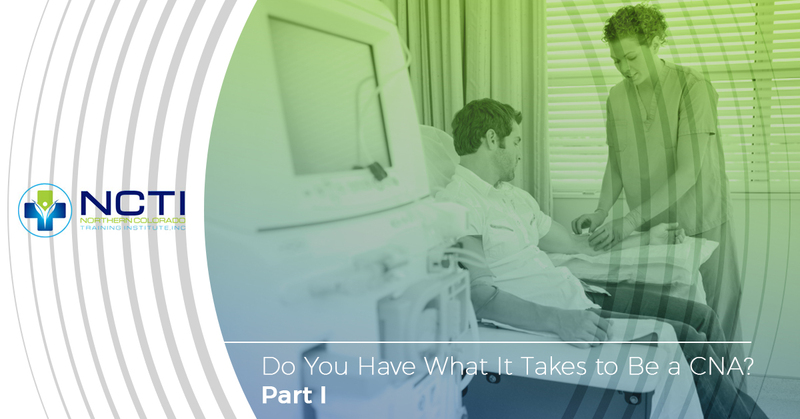 In part one of this two-part series, we will take a look at five traits a CNA should have to ensure they are cut out for the job — let’s get started! In a perfect world, all of your patients will be easy-going and a pleasure to care for. 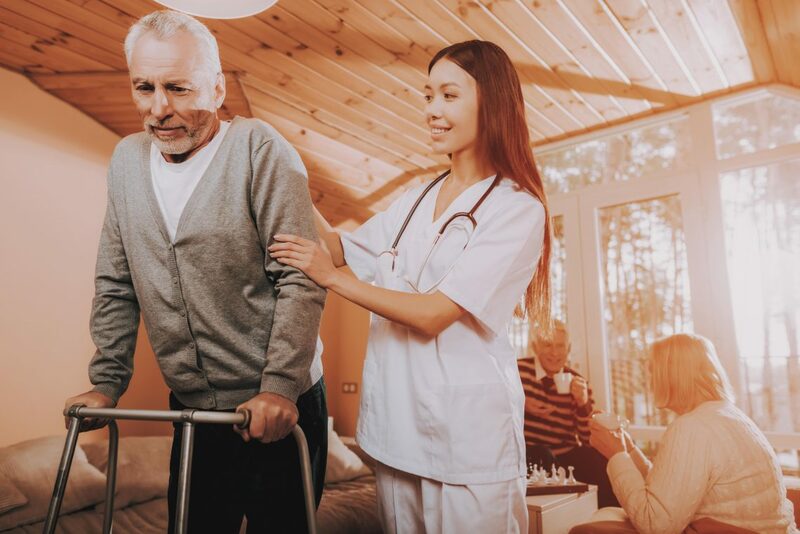 However, as a CNA, you will come across patients who tend to be more challenging to care for than you anticipated, but that doesn’t mean that they deserve any less quality of care. Patience and the ability to remain calm in stressful situations is likely one of the most important characteristics of successful CNAs. CNAs are responsible for a wide variety of physical tasks during the course of their work. Whether you are cleaning, bathing, and dressing patients or transferring them between beds and wheelchairs, physical strength and stamina is a must. Likewise, CNAs often see patients who are vulnerable, scared, and very ill. Emotional strength is also a necessary trait for facing sickness and death on a regular basis. As Heraclitus once quoted, “Change is the only constant in life,” and this is definitely an accurate descriptor of a CNA’s day. Just as no two patients are the same, the tasks you complete each day as a CNA can change drastically. One day you may only have a few patients with basic needs, and the next you might be assigned to patients with more complex needs. Additionally, the healthcare industry is constantly evolving. Remaining flexible and being open to change is necessary for this career path. In order to be a successful CNA, you need much more than a strong command of medical terminology and an ability to properly perform care tasks. Compassion and empathy are a must, as you will be caring for individuals who are hurt. Some might even be very frustrated with their circumstances, and remaining compassionate toward them will go a long way in building trust with your patients. Remember 10 years ago when digital medical records were at the forefront of medical technology? Now updating them is part of a CNAs standard job duties, as are a wide variety of other technologically intensive tasks. As such, it is important that CNAs have the technical skills needed to use the equipment they rely on to care for their patients. Additionally, there have been many advancements durable medical equipment for patients, and CNAs should make sure they keep up to date on medical technology trends to best serve their patients. Think you have what it takes to be a CNA? Chances are you do, you might just need a little help developing the career-specific knowledge and skills you need to serve your patients properly, and that is where Northern Colorado Training Institute, Inc. comes in. We offer three different types of Colorado CNA classes, one of which is sure to suit your needs and your desired career path. Check them out online or give us a call at 800-376-0274 today to learn more, and don’t forget to check back for part two of this series to learn about a few more must-have traits for CNAs.